Kevin Talbot qualified in medicine from the University of London and trained in Neurology in London and Oxford. His doctoral research was on the childhood motor neuron disorder spinal muscular atrophy (SMA) in the laboratory of Professor Kay Davies. He subsequently became Clinical Lecturer in Neurology and from 2001-2006 held an MRC Clinician Scientist Fellowship. In 2010 he became Professor of Motor Neuron Biology, and in 2015 he was appointed Head of the Division of Clinical Neurology in the Nuffield Department of Clinical Neurosciences, University of Oxford. He currently co-directs the Oxford MND Care and Research Centre, a multidisciplinary team providing a clinical service for patients with motor neuron disorders, from all over the South of England. 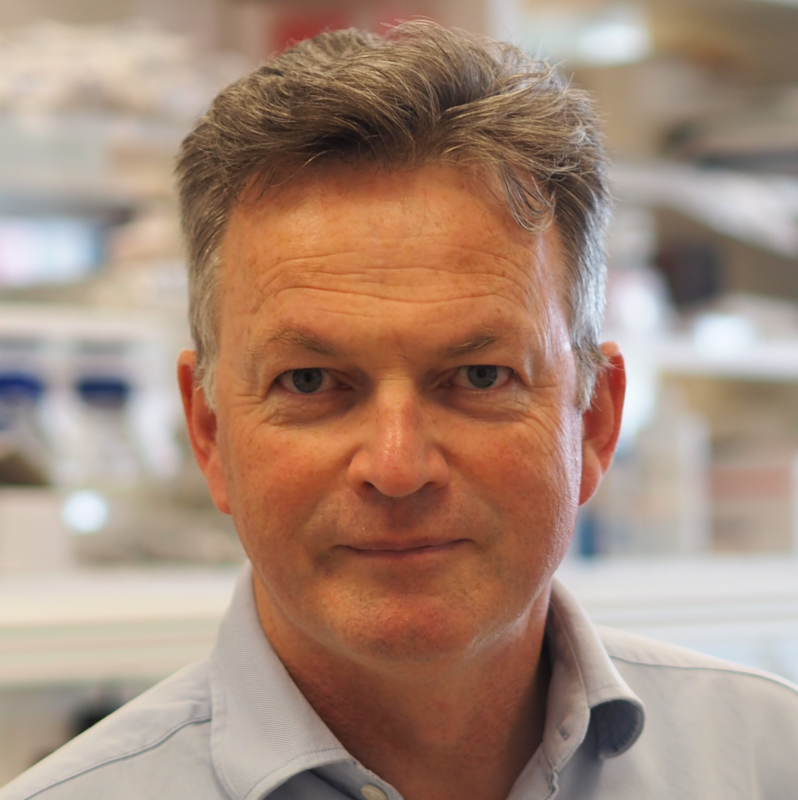 Professor Talbot’s research is focussed on in vitro and in vivo modelling of the earliest phases of ALS and FTD pathogenesis, to elucidate the basic mechanisms of motor neuron degeneration and accelerate the identification of disease modifying treatments. His team have created spinal motor and cortical neuronal models based on induced pluripotent stem cells, and novel BAC-transgenic mice based on TDP-43 mutations. Current work is focussed using these models to identify drug targets using high and medium throughput screening. He also actively participates in therapeutic trials in MND and in clinical studies to improve management of MND. MND is now best considered as a disease in which the highly evolved but vulnerable system responsible for voluntary movement (the corticomotorneuronal network) undergoes stereotyped failure due to complex and varied causes. Even genetic mutations, an apparently unitary cause of ALS in up to 10% of cases, are tolerated from conception and must also act in combination with multiple age-related secondary events to cause neurodegeneration. In vitro and in vivo models based on specific genetic mutations have typically used overexpression of mutant gene products to provoke a strong phenotype. However, this favours the recruitment of pathways downstream of disease initiation which may reflect secondary consequences of neurodegeneration and be less therapeutically tractable. We have therefore tried to focus on models of disease in which the earliest changes in motor neuron dysfunction can be explored. Mice expressing TDP-43 M337V at low level from a BAC construct stably integrated in a single genomic copy exhibit defects in axonal transport prior to neuromuscular failure. Primary motor neurons from these mice show alterations in stress granule dynamics, also present in iPSC-derived motor neurons from patients with the same TDP-43 mutation, which can be used as a tool for high throughput compound screening. In this model we have demonstrated that loss of neuromuscular integrity occurs without protein aggregation or neuroinflammation. C9orf72 hexanucleotide expansion mutations are the commonest single cause of neurodegeneration. We have shown that iPSC-derived spinal motor and cortical neurons in culture display subtle but reproducible alterations in cellular homeostasis before cell death. We are using FAC sorting and single cell RNA sequencing, as well as bulk cell RNA sequencing to identify the transcriptional signature of this cellular perturbation, both as a read-out of response to potential therapies and also to identify the earliest pathways associated with disease.